Believe in them or not, the stories of these female ghosts live on. But whether born of folklore or a historical tragedy, each of these ladies has a haunting tale. After King Henry VIII successfully broke from his first wife, he made Boleyn his second, and she became the Queen of England in 1533. However, Boleyn's reign was short because she failed to produce a male heir, which turned her once-loving husband against her. 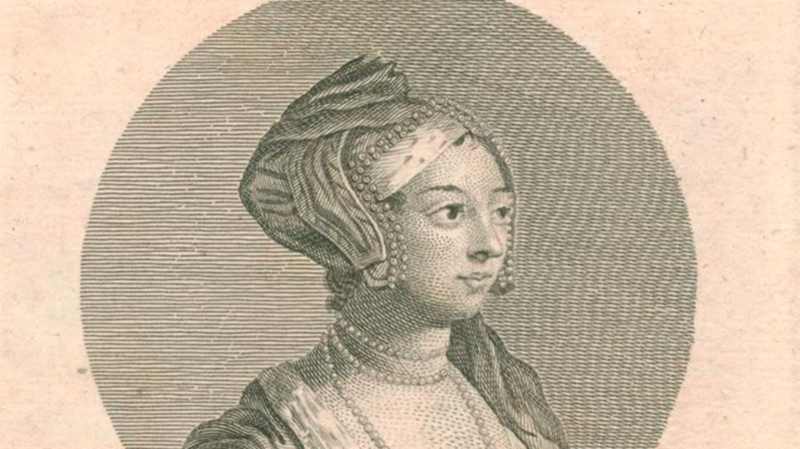 She was beheaded at the Tower of London on May 19th, 1536 and, since then, people have claimed to see her ghost not only at the location of her death, but also at Hever Castle, Blickling Hall, Salle Church, and Marwell Hall. The most chilling tale of her appearance tells of a guard at the Tower of London who was approached by a "whitish, female figure." Panicked, the man stabbed his bayonet at the spirit before fainting from fear. Dare you stand before a mirror and call her name thrice, she'll appear. The folklore involving this ghost varies. Some believe she was a witch from the notorious Salem trials. Others claim she was the victim of a grisly murder by a stranger or lover. 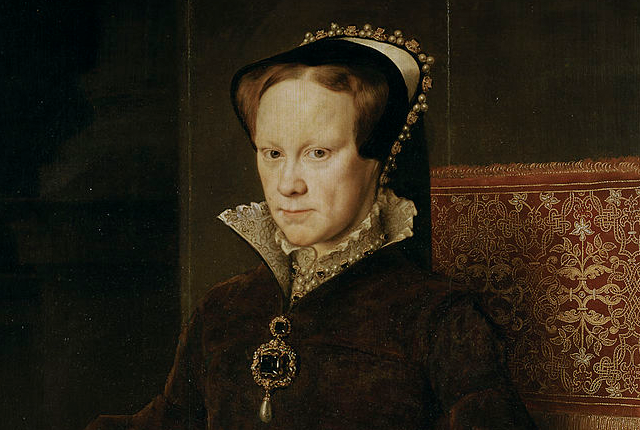 Still others believe her to be Mary I, Queen of England, damned for her persecution of the Protestants. Even whether or not she's a dangerous spirit in the first place is a matter of debate. To test for yourself, shut off the lights. Take a candle into your bathroom, and give Mary a call. If you dare. A freaky figure from Japan's urban legends is this terrifying spirit, whose name translates to "Slit-Mouthed Woman." Rumors of her first surfaced in the late 1970s. Her mouth is said to be sliced open from ear to ear, and she appears solely to chase and torment children. 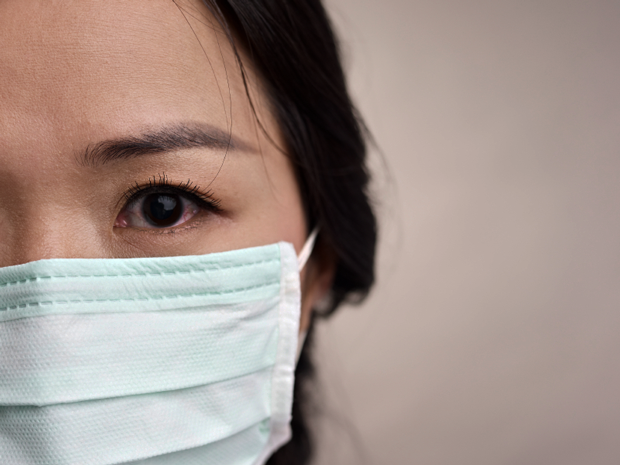 At first she hides her deformity with the help of a surgical mask, but when she finds a child alone she pulls the mask away and asks if they find her beautiful. It's said that if they say no she will slash at them with scissors. But if they say yes, she will slice their faces from ear to ear to resemble her own. Fear of this figure grew so intense that children would travel home from school in groups for safety. This ghost is said to roam about in Canada's French Fort Cove, lonely and seeking her lost head. In Doug Underhill's Miramichi Tales Tall & True, he places her origins in the 1700s, when noble French women were sent to Canada to join convents. But this poor nun met a tragic end when she came across either a deranged fur trapper or a pair of sailors merciless in their search for treasure. Either way, the story ends the same way, with the nun's head lopped off and the rest of her beginning a never-ceasing search to make herself whole once more. 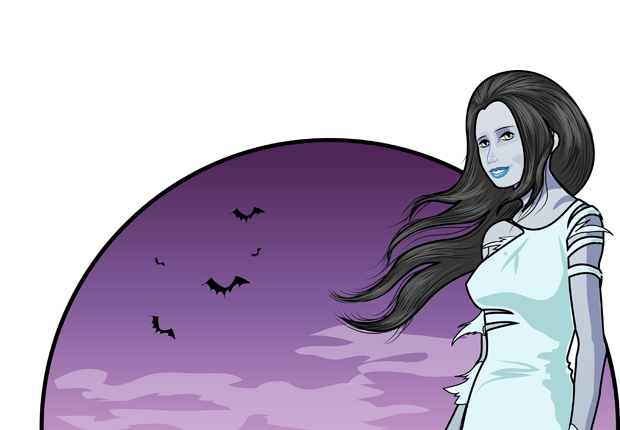 There are many ghosts all over the world who are called "The White Lady." In medieval England, she was believed to appear as an omen of death. In Scotland, she was rumored to have been the lost soul of a suicidal girl who threw herself out of a tower. In Malta, she lept from a balcony to escape an undesired marriage. In the Philippines and in Portugal she died in a car accident. White Ladies linger in castles all over the United Kingdom. In the U.S., her white dress is often believed to be a bridal gown for a wedding that would never take place. Other White Ladies are said to be searching for lost children or deceased husbands, or else they are damned to walk the earth for killing an unwanted child. 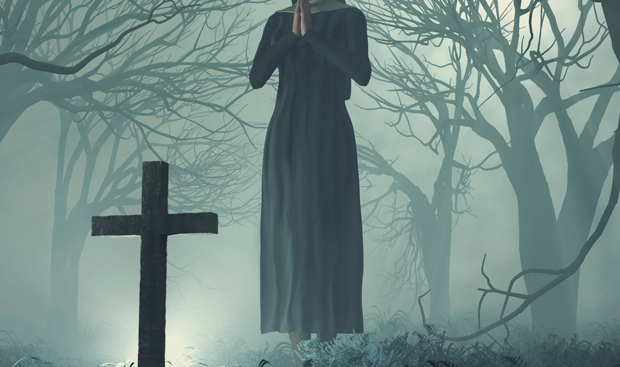 There are plenty of stories about apparitions dubbed The Grey Lady popping up in Wales, Scotland, New Zealand, and even Evansville, Indiana. But the English legend of Dudley Castle's Grey Lady got new life recently when a photograph snapped by a tourist appeared to have captured the lady who is believed to have haunted the place for centuries. Having been built in 1071, the castle has had its fair share of residents, and it is said to be haunted by many spirits—chief of which is the Grey Lady. She is believed to be Dorothy Beaumont, who died shortly after giving birth to a stillborn daughter. Her story claims she wanders the castle looking for her husband and baby, both of whom she called for on her deathbed to no avail. 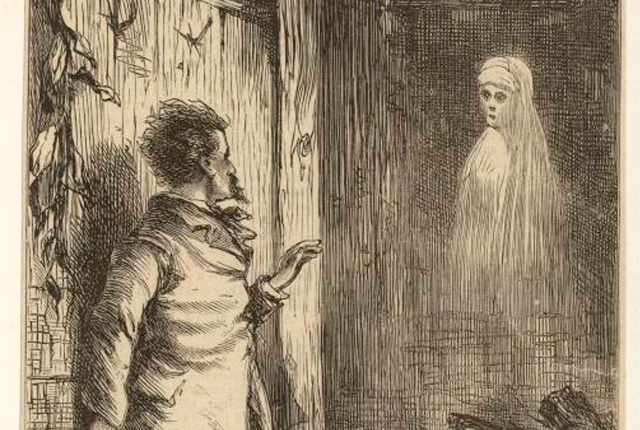 Believed to be the spirit of Lady Dorothy Walpole, this ghost is so named for the brown brocade dress she has been spotted wearing. She was the wife of Whig statesman Viscount Charles Townshend and lived in the posh country house Raynham Hall, but her life there was one of misery. Her husband was notorious for his bad temper, and when he discovered his wife's infidelity, he imprisoned her in the house they shared. She died there of smallpox in 1726, and the first recorded sighting of her ghost came on Christmas 1835. The following year she so frightened one burly visitor that he fired a gun into her ghostly face. 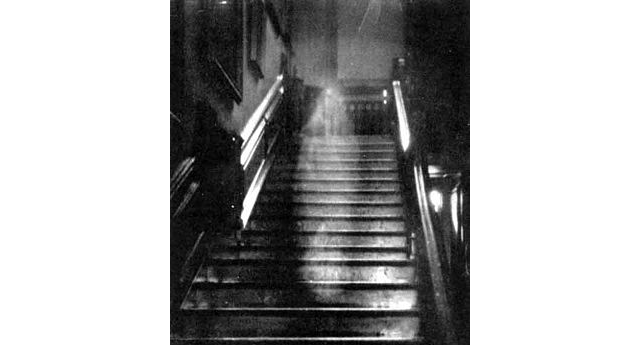 She vanished, but has been spotted since in 1926 and 1936, when a photographer claims he snapped a picture of her as she descended the stairs towards him. 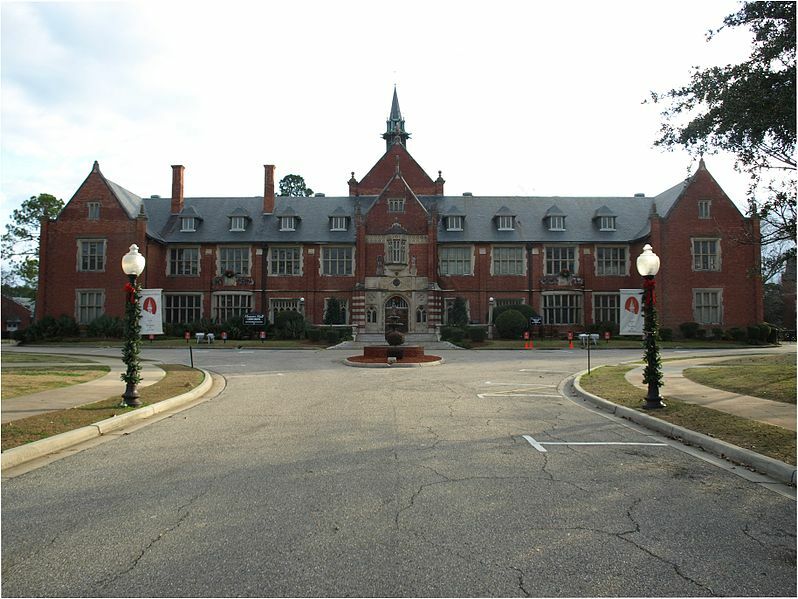 In her book 13 Alabama Ghosts and Jeffrey, Kathryn Tucker Windham tells a tragic story of an outsider named Martha, who reluctantly came from New York to Huntingdon College because it was the alma mater of her grandmother. Said to have been a shy girl, the boldest thing about her was her love of the color red, which she draped about her bedroom in blankets, curtains, rugs, and knickknacks. Failing to make friends, she became increasingly withdrawn and eventually began wandering to the doorways of others' dorms, staring in at night without saying a word. It's a pattern she's said to repeat to this day, after having swathed herself in her red blanket and slit her wrists in her room. In California, the Moss Beach Distillery Café claims to be the home of a ghost in a blue dress. As her story goes, she was a young married woman of the Prohibition era who fell for a handsome pianist who played at the café. One night while walking the beach, they were attacked, and she was killed. Those who work at the café claim she still wanders through, looking for her lost lover, and they cite mysterious phone calls, levitating objects, and locked rooms. Her story has been featured on Unsolved Mysteries and Ghost Hunters, but the latter declaried that the Blue Lady legend was bunk. The Café has issued a respectful response titled, "A Visit Does Not An Investigation Make." A dark tale of West Virginia is that of Jenny, a poor woman reduced to living in a shack near some train tracks. One night, Jenny was huddled near the fire, trying to keep warm while she ravenously gobbled up the meager food she'd acquired. This is when her skirt caught fire. She couldn't put herself out, and so ran down the tracks toward the station, screaming for help. But in her panic, she didn't see the train coming. She was buried in a pauper's grave, and might have been forgotten were it not for her return on the anniversary of her death. 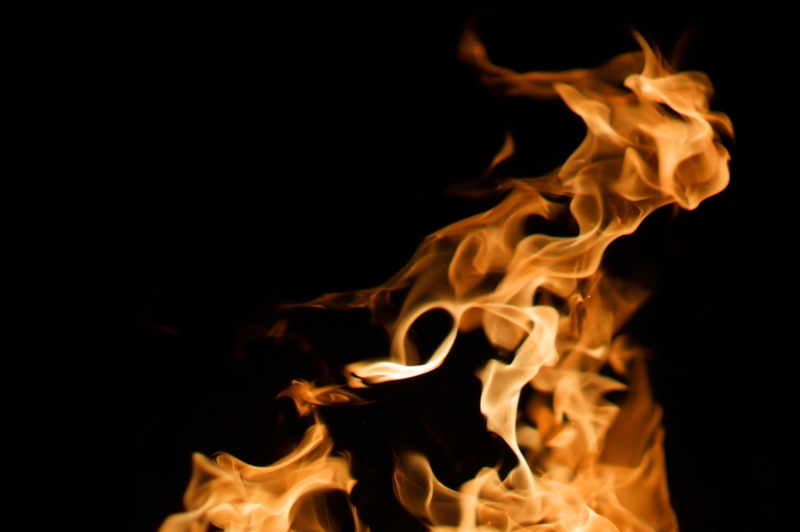 She's said to appear in a ball of flame, tearing down the train tracks screaming. Named for the family she is believed to have tormented, this poltergeist was once known as Kate Batts. 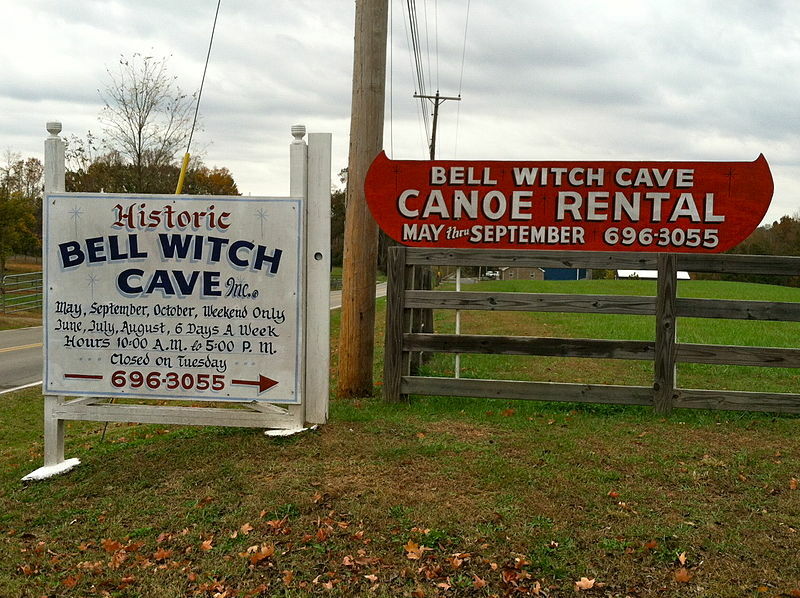 In 1800s Tennessee, she'd had a land dispute with neighbor John Bell Sr., and became notorious for her bad behavior towards him. But things got worse once she died. His children were attacked in their sleep by unseen hands, household objects moved on their own, and a séance revealed it all to be caused by Batts. The story goes that her ghost went on to poison Mr. Bell, and at his funeral her voice could be heard singing a drinking song. Today, her presence is less feared and more a tourist attraction. 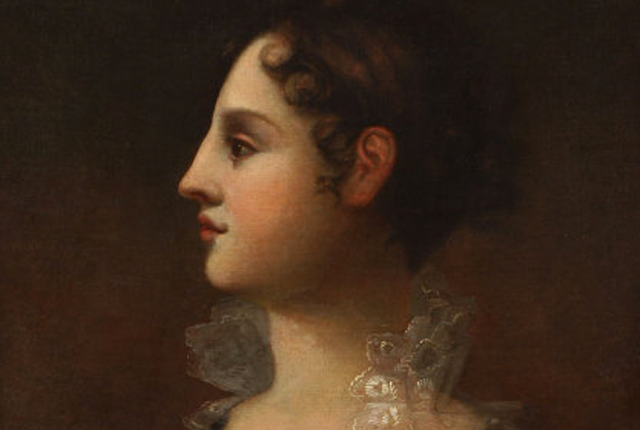 The wife of President James Madison, Dolley is often credited with transforming Washington, D.C. from swamp to a civilized destination to see and be seen. She was known for her winsome spirit, vibrant parties, and for taking exceptional pride in how her tastes shaped the interior design and landscapes of the White House. 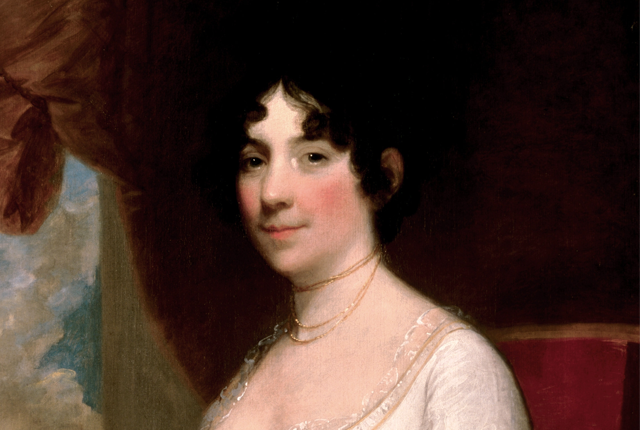 Dolley is said to have continued the house's upkeep, even after death. Legend has it that during Woodrow Wilson's presidency, his second wife Edith dared to demand the Rose Garden be ripped up, but every time a gardener drew near the place, Dolley would appear to shoo them away. Since her death in 1849, she's also been spotted rocking in a chair on the porch of The Cutts-Madison House, where she lived after her tenure as First Lady ended. The daughter of Vice President Aaron Burr and wife of South Carolina governor Joseph Alston, this 19th century lady was positioned for a life of luxury and ease, but sorrow plagued her. Raised in New York City, she struggled to adjust to life on her husband's mosquito-plagued country plantation. Her father was tried for treason, and she lost her only child from malaria when he was just ten years old. Deep in grief, she boarded a ship on New Year's Eve 1812 to visit her father in New York, but she'd never arrive; the ship was lost at sea with no trace. Since then, Theodora's ghost has been known to travel. She's been spotted by the Georgetown dock where she boarded the ill-fated vessel, near her old summer home in Debordieu, and strolling around the old Oaks Plantation, now renamed Brookgreen Gardens. Another version of her tale claims she washed up on shore with a portrait of herself, but no memory of who she was. Credited by some as America's first female serial killer, LaLaurie has left a dark stain on her New Orleans home. She was among the social elite of the city in the 1830s until a fire in 1834 revealed the horrible secrets she had locked within her house. When neighbors rushed into help, they followed screams to a locked door. Upon breaking it down they discovered a horror show of slaves, tortured, chained, and mutilated. 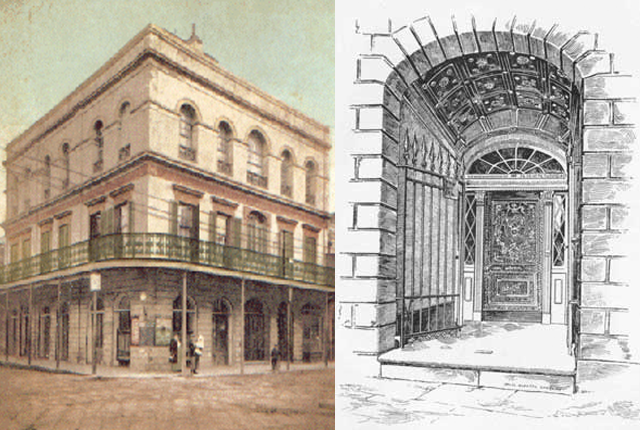 An angry mob chased LaLaurie out of town, and corpses were reportedly uncovered under the house's floorboards. She died in 1849 in Paris, but some say her hideous acts have condemned her to walk the lands of her old home for all time. She's been spotted with a sneer and a whip, hovering over babies and children. Recently, she inspired a character on American Horror Story: Coven. Having starred in the 1920 film that coined the phrase, Thomas was the original flapper. 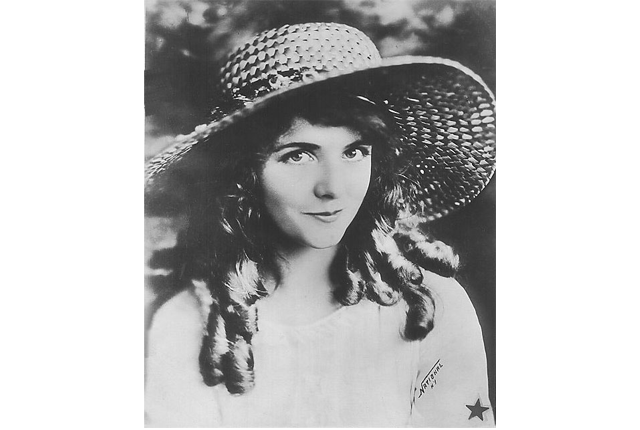 Her life was glamorous and included a stint as a Ziegfeld Follies showgirl and a marriage to Jack Pickford, brother of the movie star Mary Pickford. Her death came too soon, at age 25, when Thomas drank down the mercury bichloride that was intended to treat her husband's syphilis topically. Whether this was accidental—perhaps she thought it was illicit hooch—or intentionally suicidal was a matter of debate. But since then, Olive has been said to haunt the New Amsterdam Theater in New York City, where she once owned the spotlight. Thomas struts around in a green beaded costume that she wore as part of the Follies while clutching a blue bottle. She supposedly appears before men and flirts before she vanishes. She's been spotted so often by stagehands that a superstition has risen, claiming it's best to say, "Goodnight, Olive," as you leave so as not to snub the theater's long-time resident.